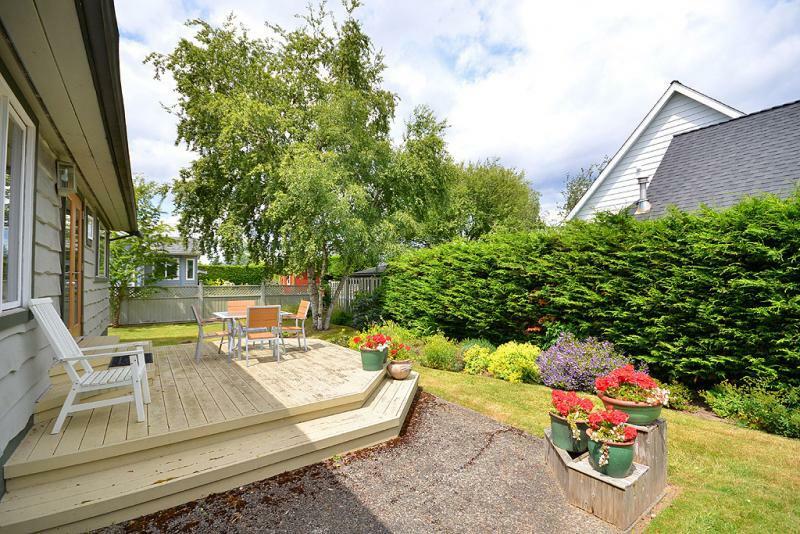 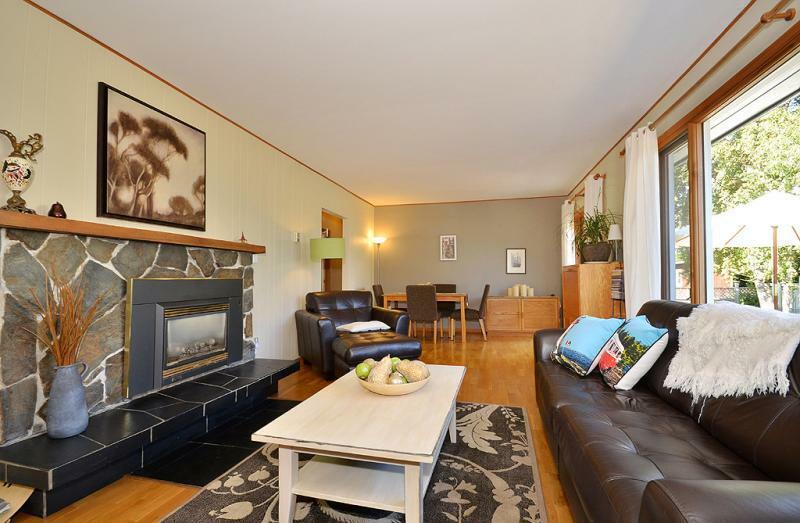 Resthaven Cottage is a bright, tranquil 1200 sq. 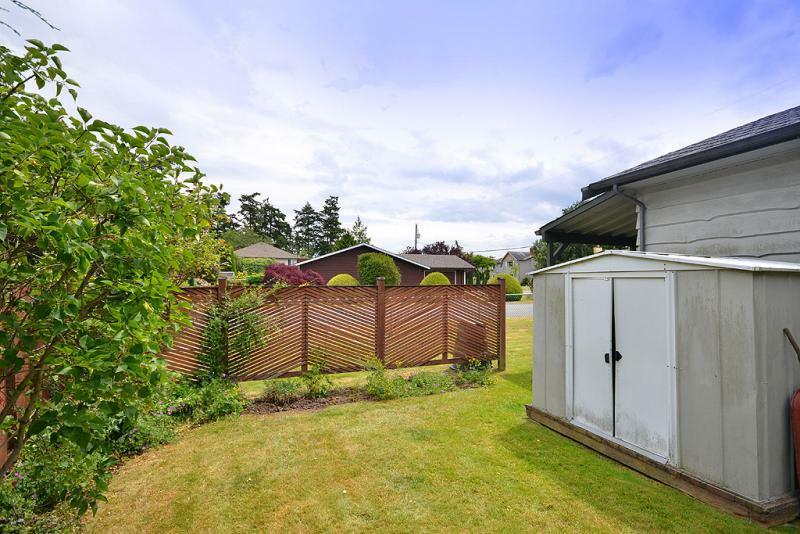 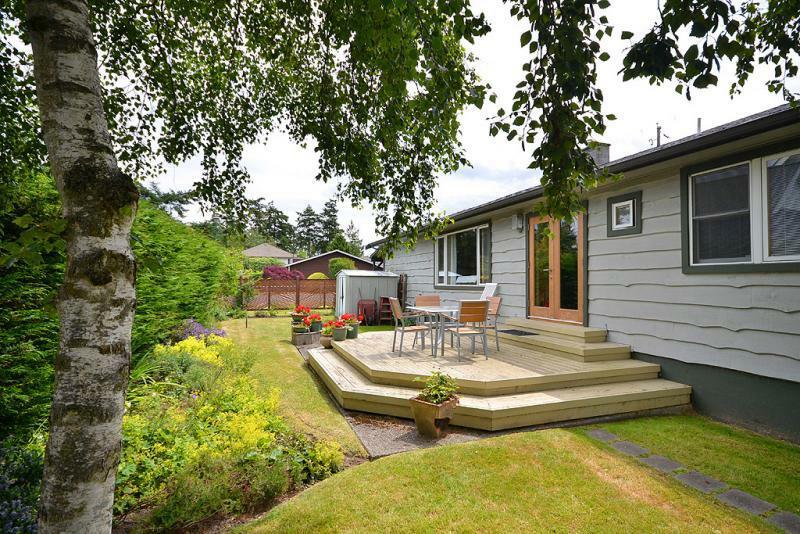 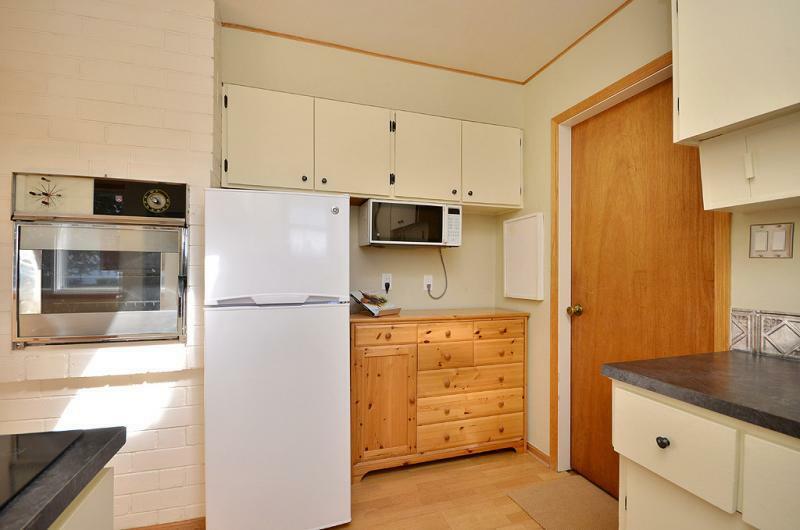 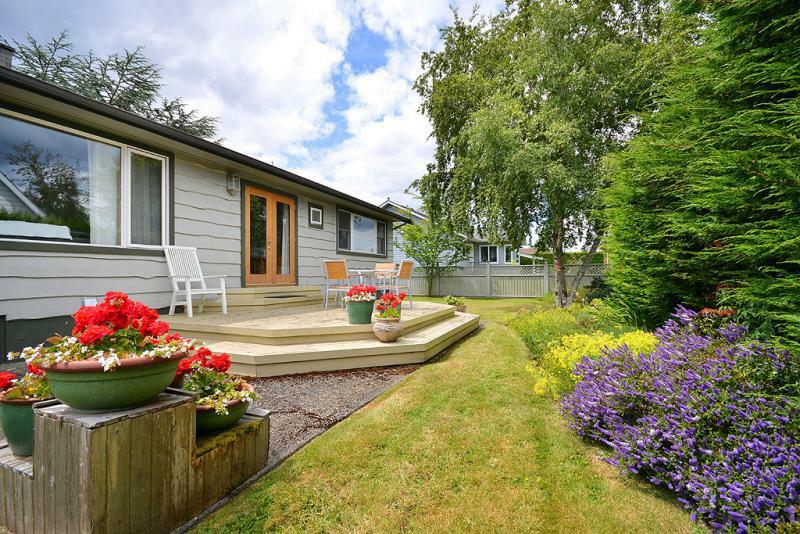 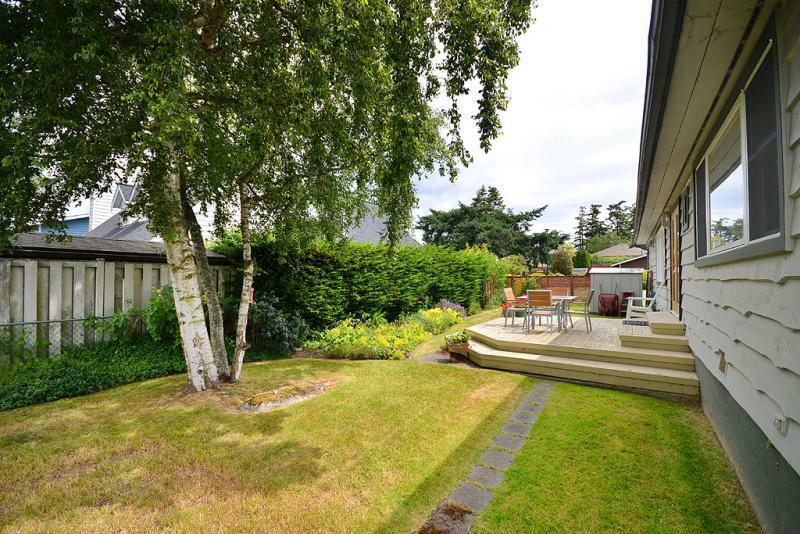 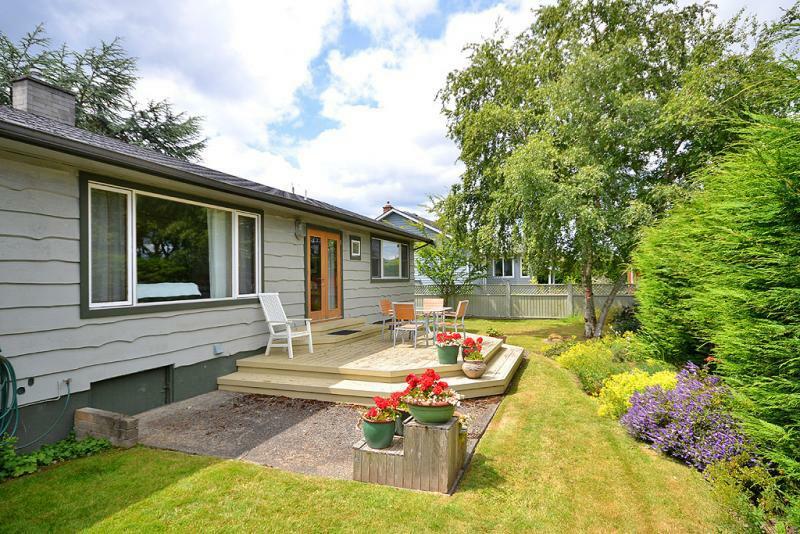 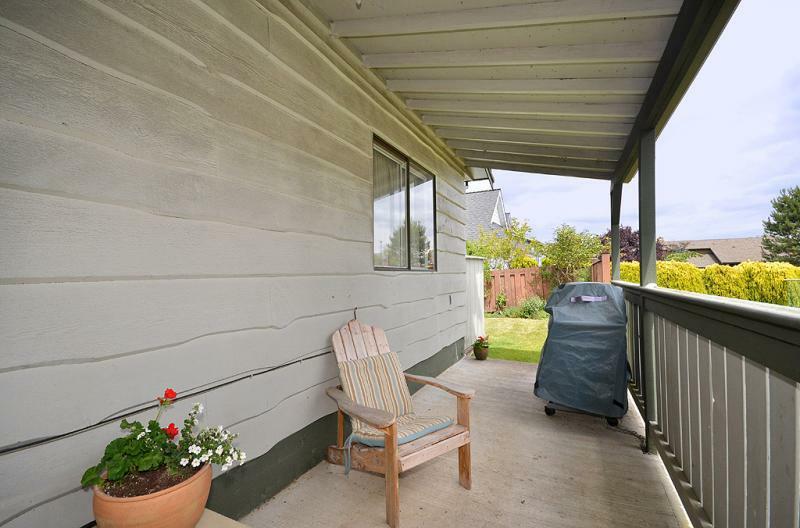 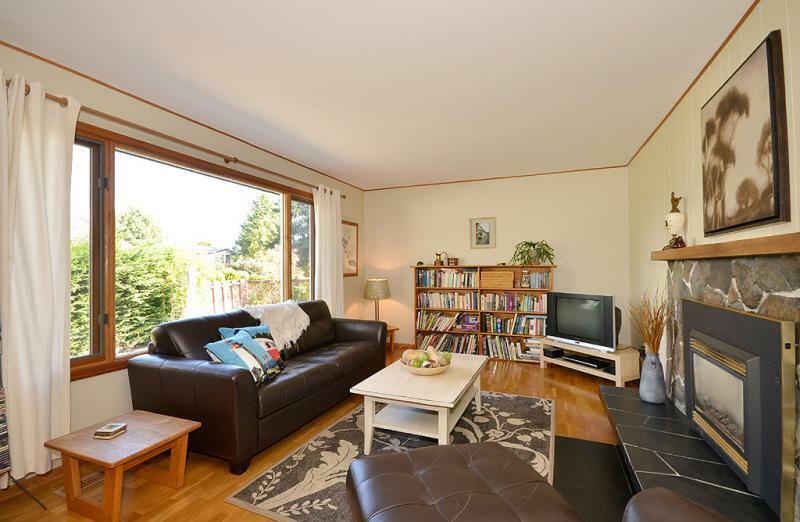 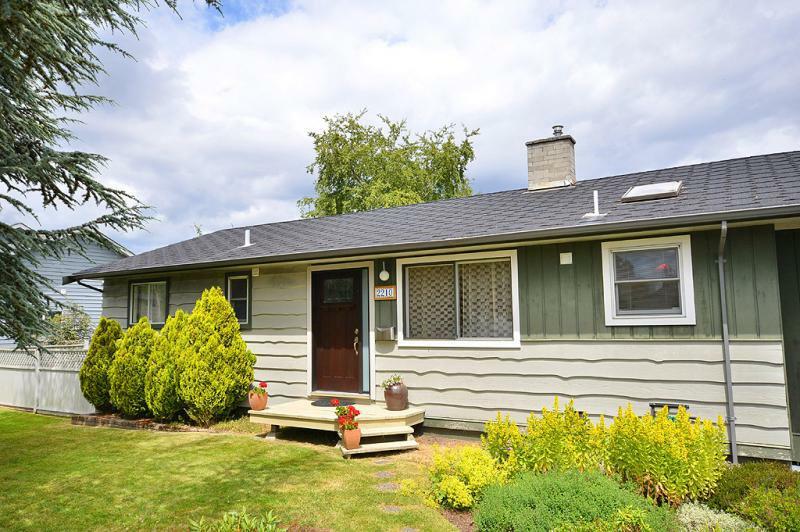 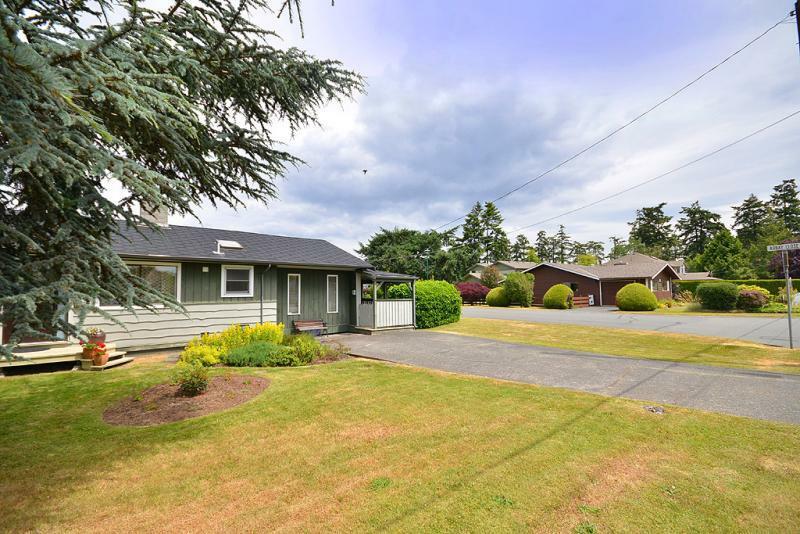 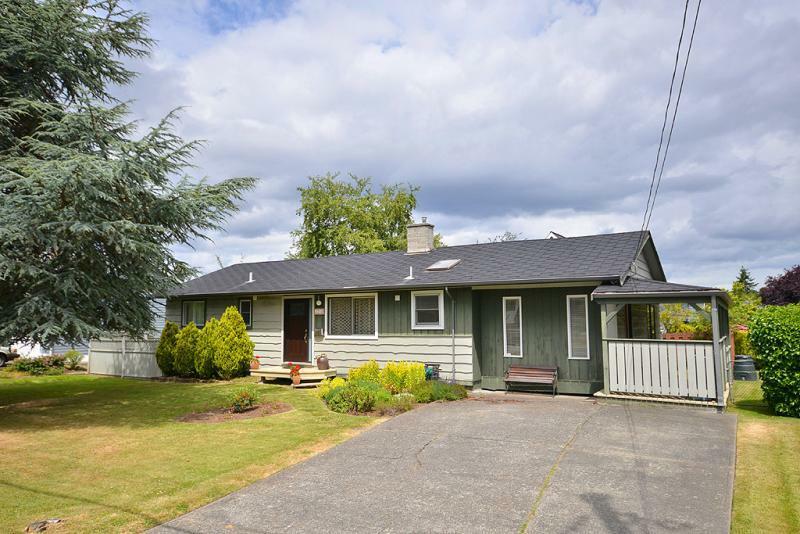 ft. bungalow located only a 2 minute walk from the ocean and beach at Roberts Bay in Sidney BC. 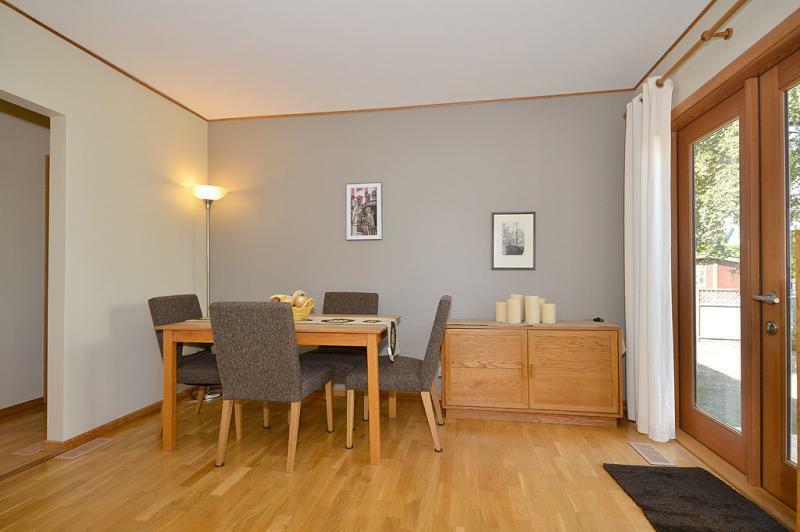 This cozy rental home is beautifully furnished with a simple wooden flair. 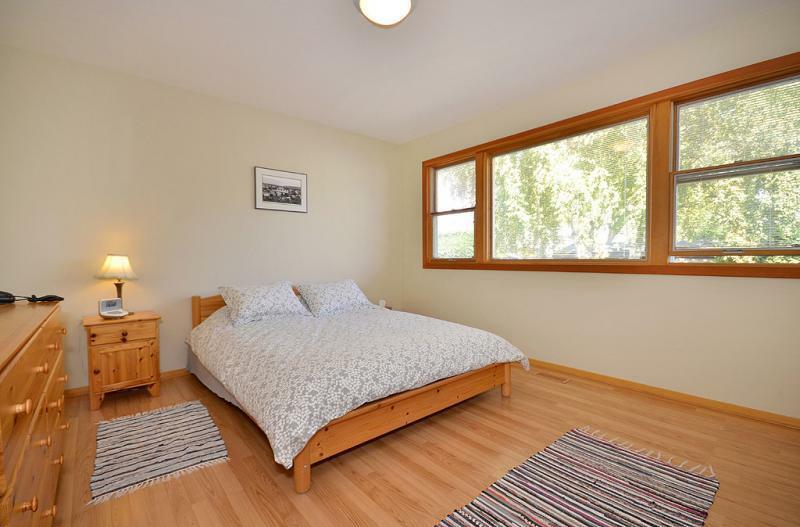 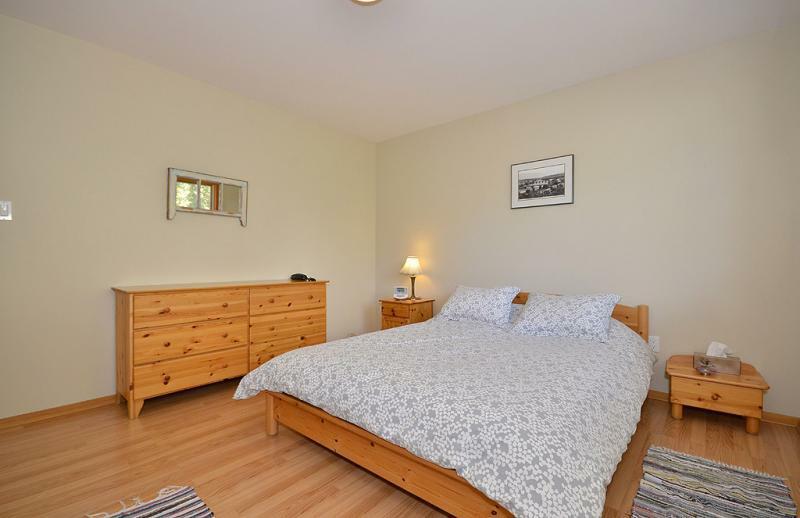 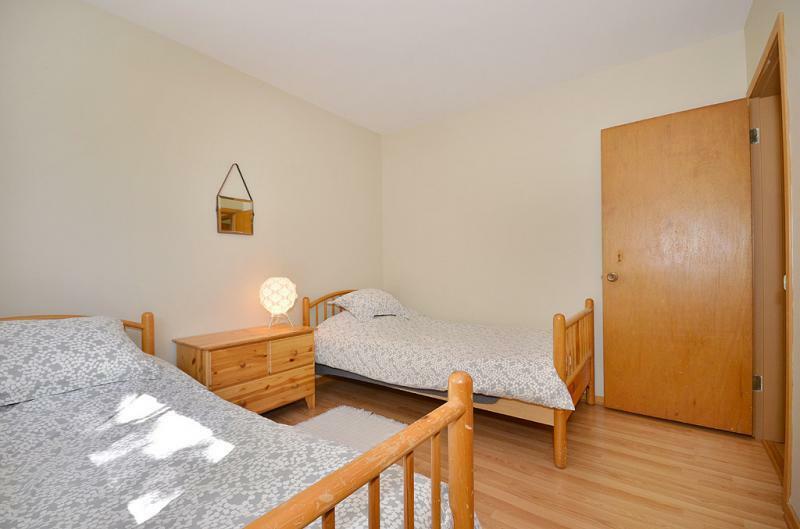 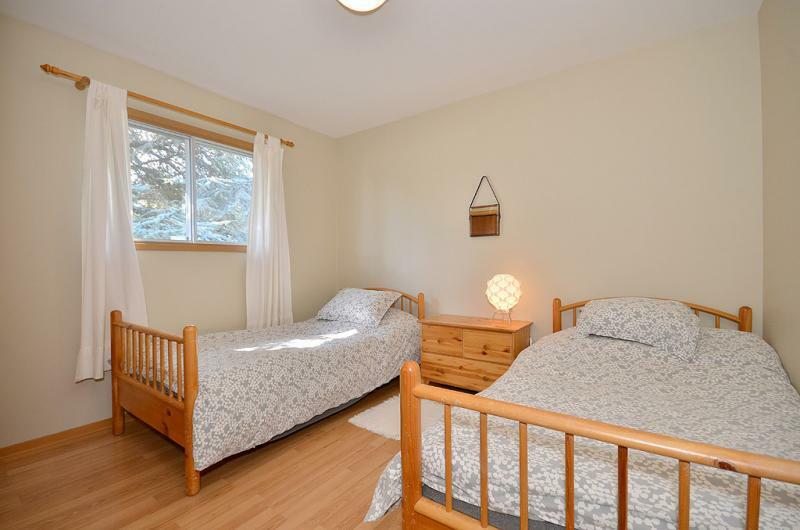 The 2 bedrooms have one queen bed and one with 2 twin beds. 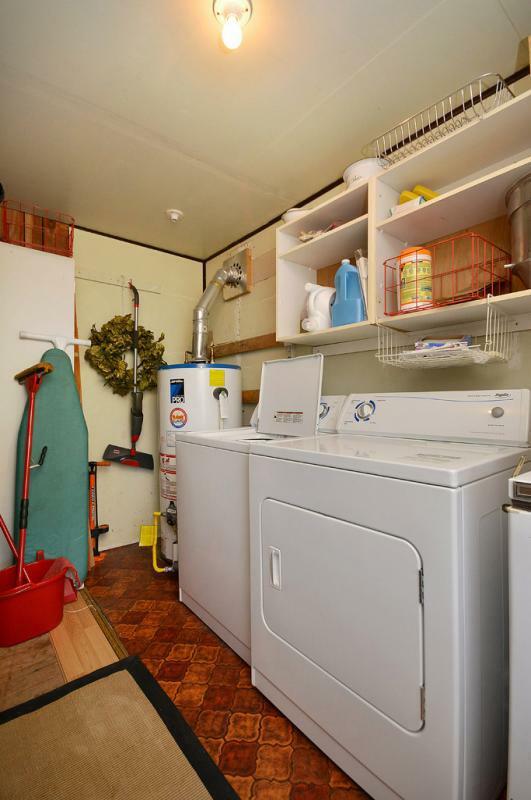 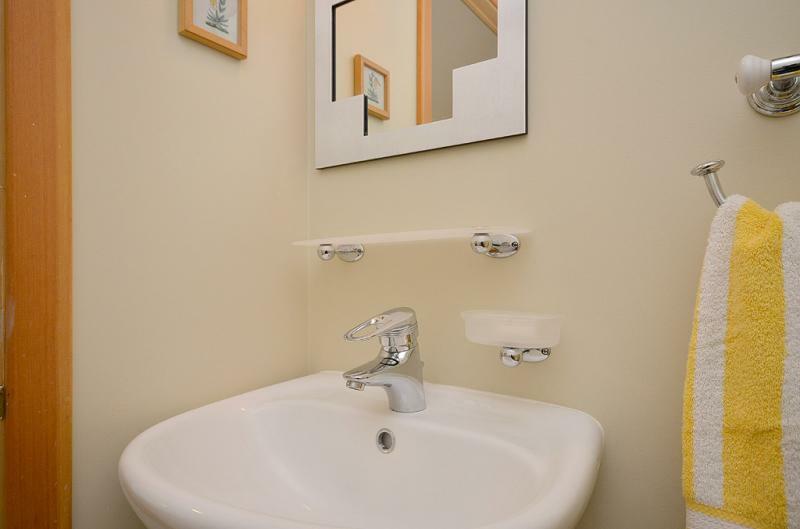 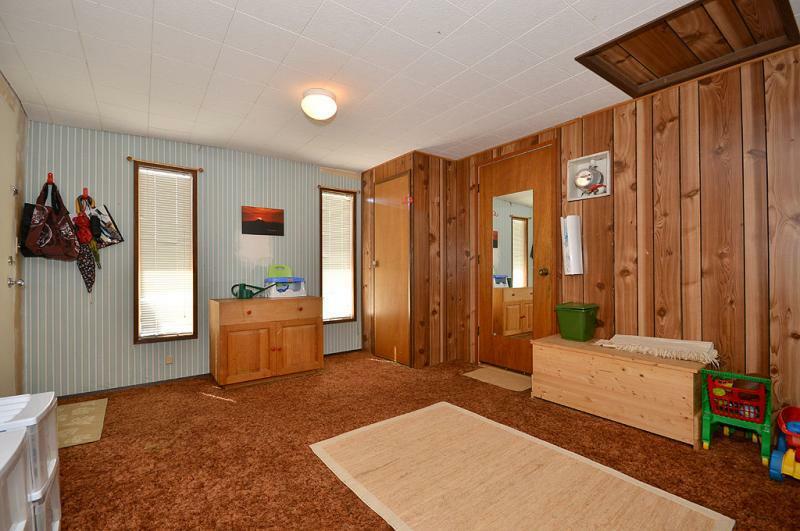 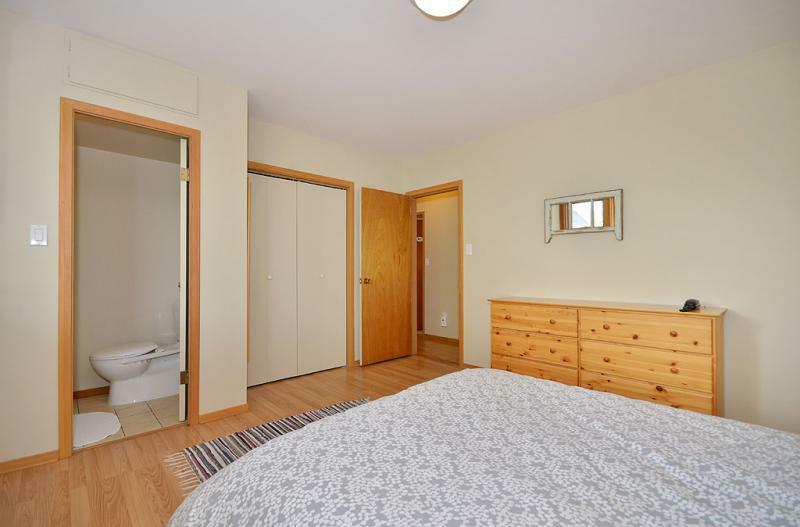 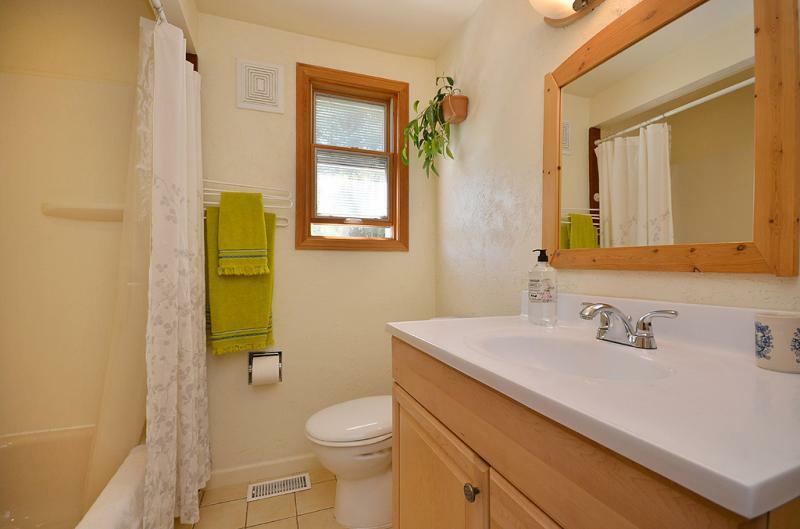 The master has a small ensuite bathroom and a main in the living area. 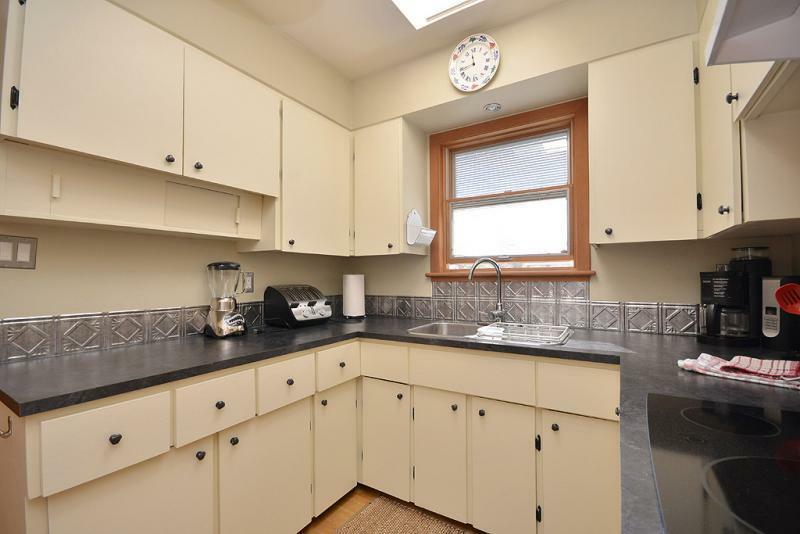 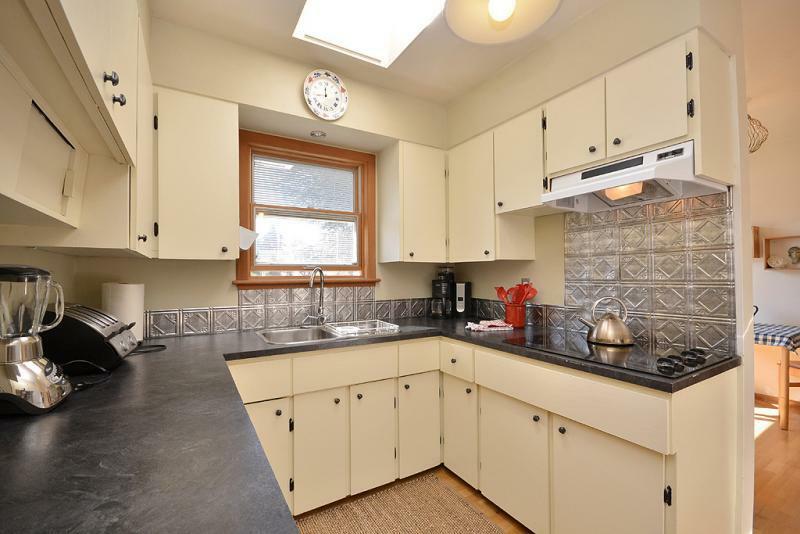 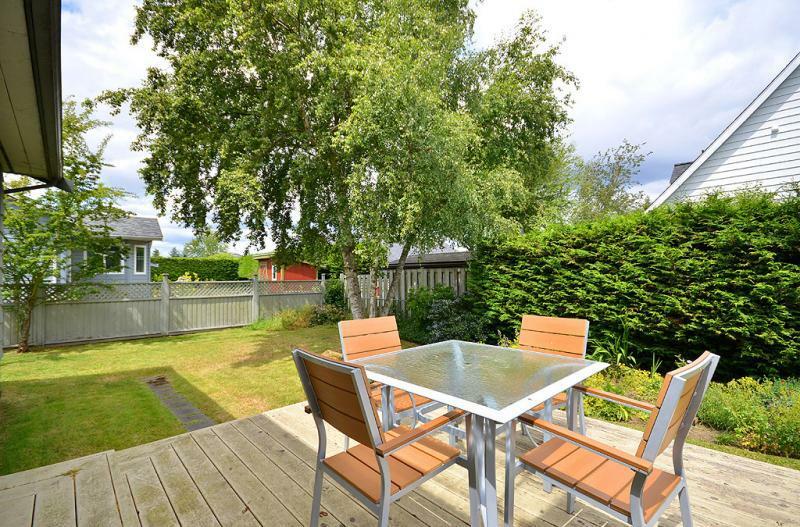 The fully equipped kitchen, dining room, and private garden with patio are ideal for entertaining small groups. 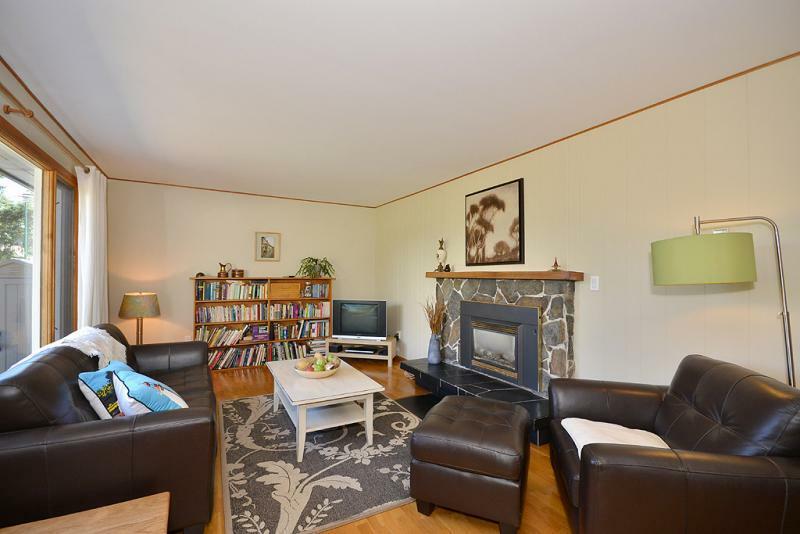 Also included is a gas fireplace, TV/DVD, radio, CD player, telephone, microwave, internet access, washing machine, tumble dryer, and new BBQ. 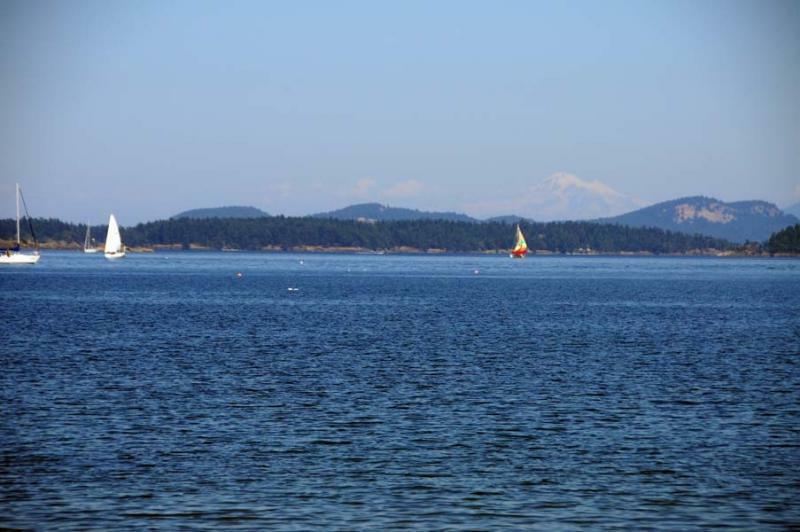 Beaches, fishing charters, diving, sailing, canoeing and other water sports are all within walking distance at nearby Tsehum Harbour. 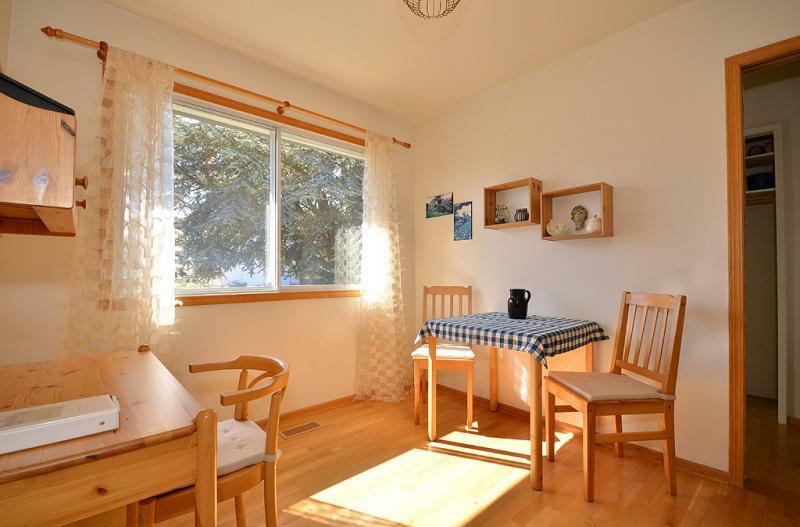 Hiking, cycling, golfing, horse riding, swimming, skating and many other sports or activities are available within close proximity. 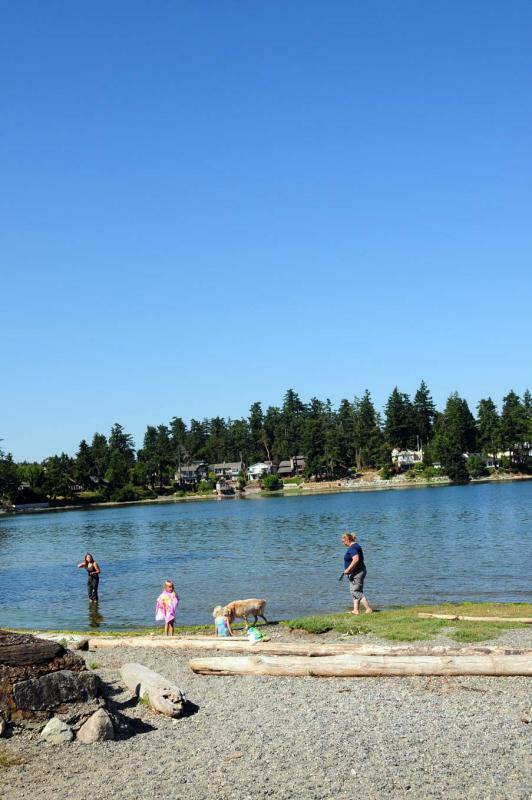 The Galloping Goose Trail is within a 10 minute walk from your front door. 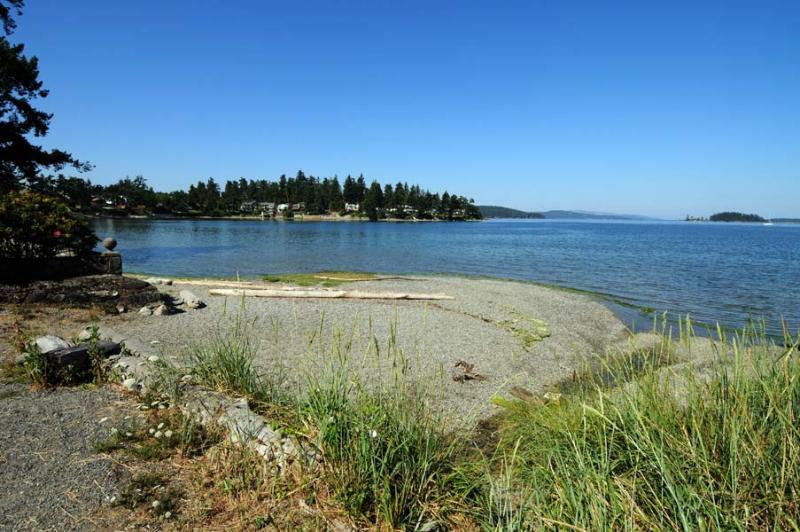 The Victoria International Airport, BC Ferries, Anacortes Ferry, Buchart Garden are less than a 10 minute drive. 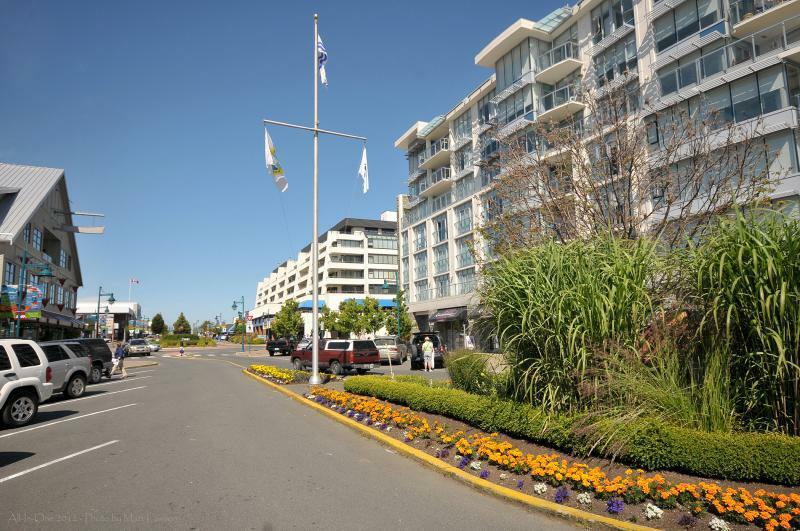 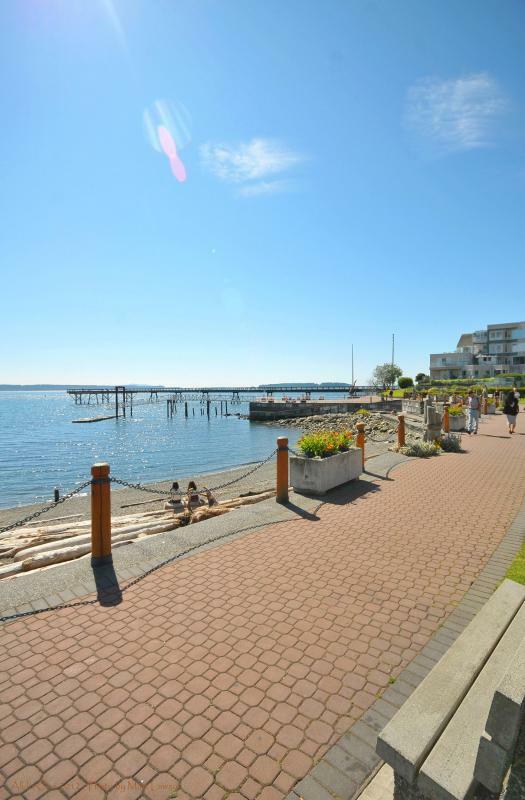 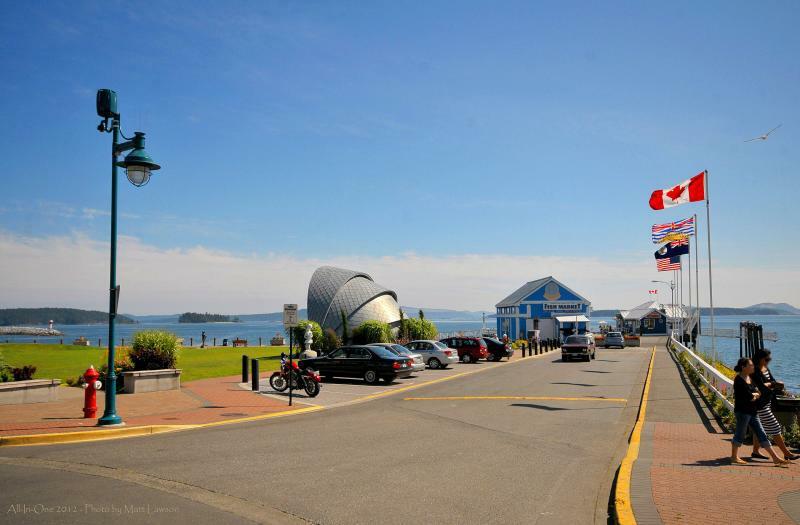 Sidney town with its artisan fairs, evening street markets, book and antique stores, spas, restaurants, outdoor concerts, museums, theatres, specialty shops, fresh seafood, and grocery stores are 2 km away.